OC Transpo said the “root cause” leading to Ottawa’s Presto card problems appears to be fixed, according to a local news report. 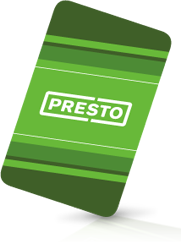 The Presto system was originally scheduled to go live July 1, but due to technical problems with the system the transit decided to push the launch back. OC Transpo says its “cautiously optimistic” that the technical glitches have been fixed. During an initial trial run, riders would run into the problem of having to double-tap their cards to get their fares recorded, which in turn lead to the issue of testers not being sure whether their accounts had been charged twice. Metrolinx, the province’s body in charge of public transit, said all issues with bus devices have been resolved and there has been a steady increase in the number of complete transactions. Their testing shows 95 percent of test swipes end in a completed transaction. City councilors said they’ll wait until the next update in the fall before they feel in the clear.